Early childhood is the best time to get your little one into sports, but it isn’t always easy. 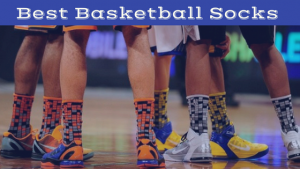 A sport like basketball can be tough to learn, but doing a bit of research into the most suitable equipment for toddlers can go a long way. 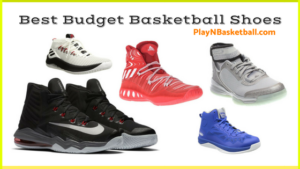 Basketball hoops are one such piece of equipment, and this guide will provide all the information you need to buy one of the best toddler basketball hoops, including points to consider, a buyers guide, and a list of the five best hoops for kids up to 6 years old on the market, plus two to avoid. When is the right age for a kid to start learning on an indoor hoop? Little Tikes EasyScore Basketball Set Review: This is a great hoop for children aged between one and a half and 5 years of age. Able to be adjusted between six different heights, it can range from 2 feet through to 4 feet in height. It has an oversized rim, and comes with 3 junior size basketballs for your toddler to enable him or her to more easily get acquainted with the game. The base of the hoop can also be weighted with sand, ensuring it won’t tip over when your child rocks the rim with a thunderous dunk. 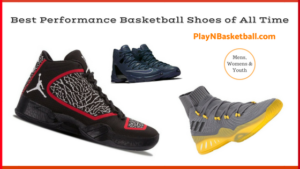 A high quality product like this, which is clearly designed with the younger toddler in mind, is a terrific way to get children interested with sport, and can assist significantly in the development of their coordination. There are very few problems with this product, aside from the net being prone to de-attaching itself from the rim occasionally. This aside, however, the product is next to flawless, and with its height adjustable for children of various sizes, this is the best basketball hoop for 3 year olds on the market. Fisher-Price Grow-to-Pro Junior Basketball Hoop Review: As the name suggests, this is a great hoop for ballers in the infancy of their basketball lives. With four height positions, which max out at 40 inches, it is unsuitable for older children, but for the real youngsters, it’s a great buy. Fisher-Price has intelligently added extended edges to the plastic rim — meaning balls, which would typically rim out will be collected by this hoop. This ‘Sure Score’ rim is a point of difference from other similar products, and will help your child develop the confidence he or she needs to become the next LeBron James. If your child becomes accomplished enough to not need this extra help, the added edges are removable. The Grow-to-Pro basketball hoop can be used either indoors or outdoors. One problem is that it can be difficult to assemble, but once it is put together it generally holds firm and does not need any major adjustments. The smaller size of this hoop means your child will not be able to use it for longer than a year or two, but overall, this will serve as a great bball hoop for your child. Little Tikes Attach n Play Basketball Set Review: This hoop is a little different to its competitors in that it comes without a base; it’s literally just a hoop and a backboard. The idea is that it is attachable to doors, making it an excellent way to conserve space for those who don’t have an outdoor area at home, and don’t have the space inside for a clunky basketball hoop. The hoop hooks onto the top of the door, and can be adjusted to three different heights to cater for children of different sizes and abilities. Of course, a hoop without the presence of a base invariably loses out on a little stability, so if your child dunks it like Shaq this may not be the best option. It is also important to find an appropriate place for it; a door which is prone to a lot of traffic might not be the best option, as the attachment can come loose if it is thrown around too much. It does, however, invariably come in much cheaper than more complete basketball hoops. For most children, this is a great option, and will save parents a whole lot of space. 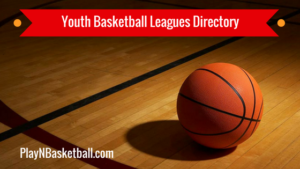 Lifetime Youth Basketball Hoop Review: This is a significantly bigger basketball hoop than some of the others in this list, making it the best basketball hoop for 6 year olds out there. It is adjustable between 5 feet and 7.5 feet in six inch increments, meaning you can make the game more simple or more difficult for your child, depending on their skill level. The rim is foldable, enabling you to save a little bit of extra space when the hoop is not being used. 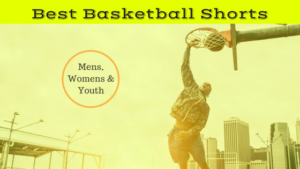 This product is a step-up in appearance from some of the more youthful-looking hoops on the market, with the regulation-sized steel rim and nylon net giving it a professional look which will likely be popular with older children. It is advertised as rust and weather-resistant, and the 5 year warranty it comes with suggests the manufacturers clearly have plenty of confidence in it’s durability. It comes in at slightly more expensive than some of its competitors, but with at least five years of use guaranteed, the extra cost is likely to be well and truly worth it. According to reviews, it can be somewhat arduous to assemble, but that aside this is a great basketball hoop for children. Step2 Shootin Hoops Junior Basketball Set Review: This hoop is one of the best all-round options on the market. Put simply, there are no major flaws with this product, and it will serve the purpose for which it is intended. It is adjustable from 2.5 feet through to 4 feet, has a very solid rim, and a large backboard. Like many similar products, the base can be weighed down with either sand or water to ensure it doesn’t tip over. The product is recommended for children aged from 2 years old all the way through to 8 years of age, meaning you’ll be able to get a great deal of longevity from this purchase. Further to this, it is a great value purchase, coming in at significantly cheaper than its competitors. The fact that this is not a well-known company may act as a deterrent to some, but it shouldn’t. This is a terrific hoop, which satisfies all the major requirements in a basketball hoop for toddlers. The only issue with it is that the balls which come with it are not of the highest quality, but this is a minor problem and other than that this is a basketball hoop which won’t disappoint. Considering the height this board can extend to, this might just be the best basketball hoop for 5 year olds available. SKLZ Pro Mini Basketball Hoop Glow in the Dark Review – Avoid: This product is similar in design to the Little Tikes Attach ’n Play Set in that it comes without a base. Instead, it is simply the hoop and the backboard, which can be attached to a wall or door. As the name suggests, both the hoop and the ball, which comes with it, are glow in the dark, which is a nice point of difference, but there are a number of other problems with this product. Firstly, the backboard, while advertised as shatterproof, is far from it, and does have the propensity to come apart: not ideal when a child is using it. Furthermore, the backboard does not sit firmly against a door when hanging. This gap means that whenever the ball collides with the backboard, the board collides with the door and makes a loud noise. Considering it is an indoor product, this is likely to be a cause of irritation for anyone else inside the house. The glow in the dark is a nice feature, but like many other products which focus on such gimmicks, there is a compromise on quality. If your child is desperate to practice by night without the lights on, maybe this is a useful product, but otherwise it’s certainly one to avoid. Little Tikes Adjust and Jam Pro Toy Basketball Hoop Review – Avoid: Unlike the Little Tikes Adjust ’n Play Set, this product leaves a little to be desired. As with most similar hoops, it has a number of adjustable heights and can be stabilized by adding sand to the base, but there are a number of other problems which have been reported with this hoop. The backboard is much bigger than it appears to be in the advertised pictures, meaning it takes up significantly more room than may be anticipated. Perhaps even more importantly, the hoop regularly collapses downwards and needs to be fixed. This is not an issue which can be resolved, and is simply a problem with quality. At best this is highly annoying, and at worst can be dangerous. Furthermore, the net has a tendency to come away from the hoop – this product is certainly not the only one with this problem, but it is nonetheless a cause of irritation. While this hoop will, for the most part, operate like many of its competitors, there are simply too many issues with it to justify opting to purchase it over higher quality hoops. There are a number of things that need to be taken into consideration prior to purchasing this type of product. Of course, the primary concern with basketball hoops for toddlers is the child, and so it is imperative that it is both enjoyable and safe for him or her to use. The parent also needs to consider themselves, and a product which is overly difficult to assemble or too expensive may not be the right choice. Safety: As the old saying goes, “safety first”. Safety is the first thing you’ll want to consider when looking to purchase a basketball hoop for your toddler. You may wonder how a small hoop can be of any danger to children, but unfortunately there are defaults present in some products which make them so. Some tip over very easily, which can clearly cause damage, particularly to small children, while others may have backboards which are prone to shattering. Still others have hoops which detach easily from the backboard when grabbed, and this can also cause harm to children. Ensuring your child’s safety is the number one thing to consider when buying this kind of product, so make sure you do the necessary research before buying. Durability: As with any purchase, it’s important to understand whether the product is built to last or not. Toddler basketball hoops are often made with materials which can be easily damaged, meaning it’s important to buy something of high quality – even if it costs a little more. Many people may hesitate to spend a significant amount on something like this, but if it’s durable it can end up saving you money. A $20 hoop might be cheap, but if it comes apart and forces you to buy a new one every few months, you may be better off spending a little bit more initially on a product which will last you years. Assembly: This factor won’t bother the children too much, but the parents, who are likely going to be spending the time assembling the hoop, may want to factor in just how difficult it is to put together. Many toddler basketball hoops are very simple to set up, and can be ready for use just a few minutes after you arrive home with it. Others, however, involve an arduous process, and for those with minimal time or patience, these may not be the best purchase. Ease of Play: A final factor which needs to be considered prior to the purchase of a toddler basketball hoop is the ease of play. This is largely related to the age of the child who will be using it, and can have a major impact on their ability to enjoy it. Clearly, the height is the most pertinent factor in this; buying a hoop which has a minimum height of four feet, for example, might not be the best choice for a 2 year old, who will likely be trying to drop the ball directly into the hoop rather than putting up long-range step-back jumpers. Added features can also make the product more enjoyable for the child, with the Fisher Price Go-to-Pro Sure Score edges a great example of this. Children all grow up at different speeds, and the needs and abilities of one 3 year old may vary significantly from another. As a result, there is no set age which is appropriate for all children, but as a general rule there is no harm in offering a hoop to a child as young as 18 months. At worst, they will have no interest in it, but at best they will develop an affinity with the game from a very young age, and it will contribute to the development of their coordination. Choose a hoop with a range of adjustable heights, and you’ll be able to keep the hoop throughout their toddler years, meaning even if they don’t immediately show an interest in it, there’s every chance they will later on. 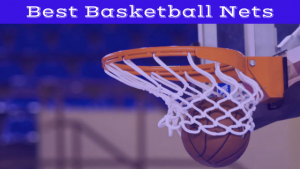 Choosing your child’s first basketball hoop can be an important decision, as it can have a major bearing on whether or not they develop an interest in the game from a young age. There are plenty of great products on the market to choose from, but as always, there are some to avoid as well. Follow the tips provided on this buying guide, and you should have no problems in choosing an appropriate toddler hoop. As long as the hoop is safe for the child, enjoyable, and won’t fall apart under the power of your 2-6 year old’s dunks, it’s likely to be a worthwhile purchase. 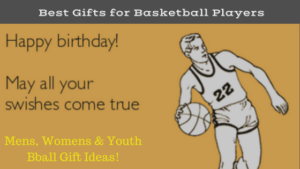 And then, soon enough, your little one will be ready for one of the best basketball hoops that kids and adults can play on together!